morningstar farms adds eggs and milk to vegan products! i’m sad to report that one of my (previously) favorite fake meat brands has started being awfully cunty lately. morningstar farms has recently added both MILK AND EGGS to several of their formally vegan products. 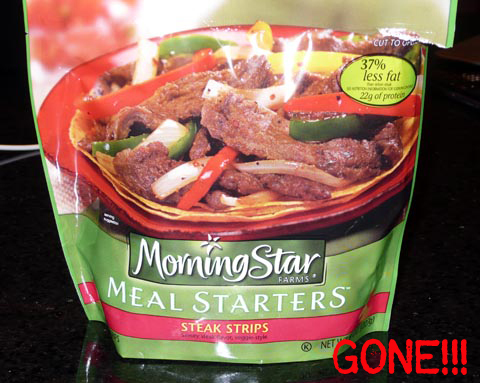 one of my favorite foods to be completely ruined by morningstar farms, was the meal starter crumbles. these things were perfect in any recipe that called for ground meat, and until recently they were vegan. then, without warning and without changing the packaging, morningstar farms added both skim milk and egg whites to the ingredients. gross, right? yeah. 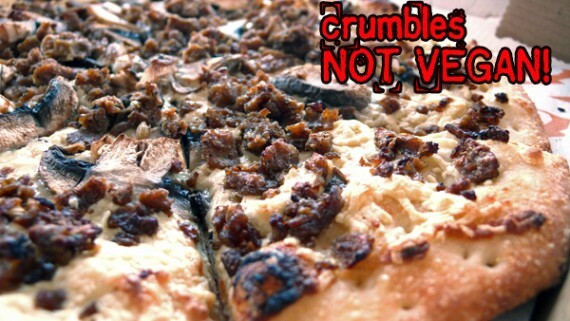 morningstar farms has added milk & eggs to thier vegan crumbles! to make matters even worse, when morningstar farms wasn’t busy de-veganizing stuff, they were discontinuing other wonderful vegan products. like the meal starter steak strips, GONE. i used these strips all the time…in stir frys, in cornish pasties, in burritos, you name it. no more. this whole situation is pretty upsetting to me, and i probably won’t be buying much morningstar farms stuff in the future. if the crumbles are trashed, and the steak strips are gone, what else can they really offer me? if you buy morningstar farms products, i highly suggest you triple check the ingredients to make sure they haven’t snuck in any animal discharge. there is a thread going about this topic over on vegweb, complete with a response from the company that really doesn’t make me feel any better. buyer beware! oh, and special thanks to commenter Bil for bringing this all to my attention. you rock. because i have a traditional english husband, i decided to cook him a traditional english dinner…vegan style! 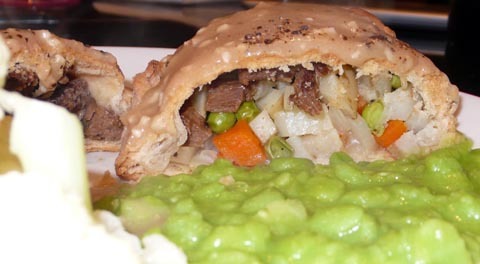 cornish pasty: a baked savoury pastry case filled with diced fake meat, potato, onion and peas. 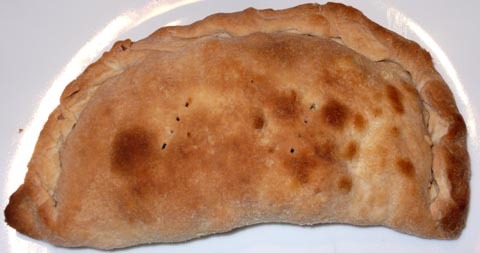 the pasties came out wonderful. i’d never had one before, but my husband assured me they tasted authentic, as good as anything he’d had back home.